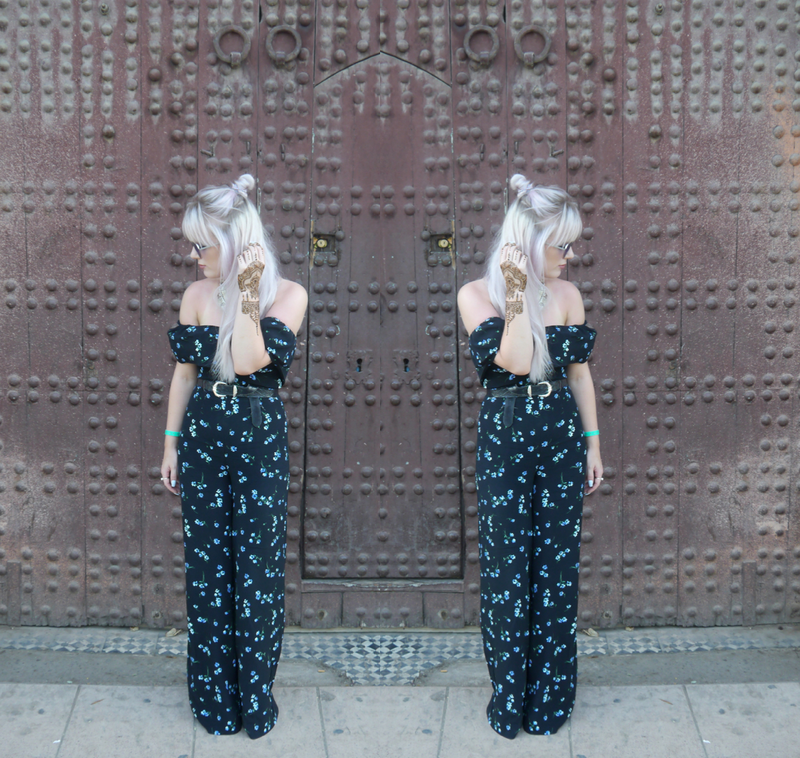 This is the final outfit post from my Marrakech holiday, my next post will be a full photo diary and travel tips. 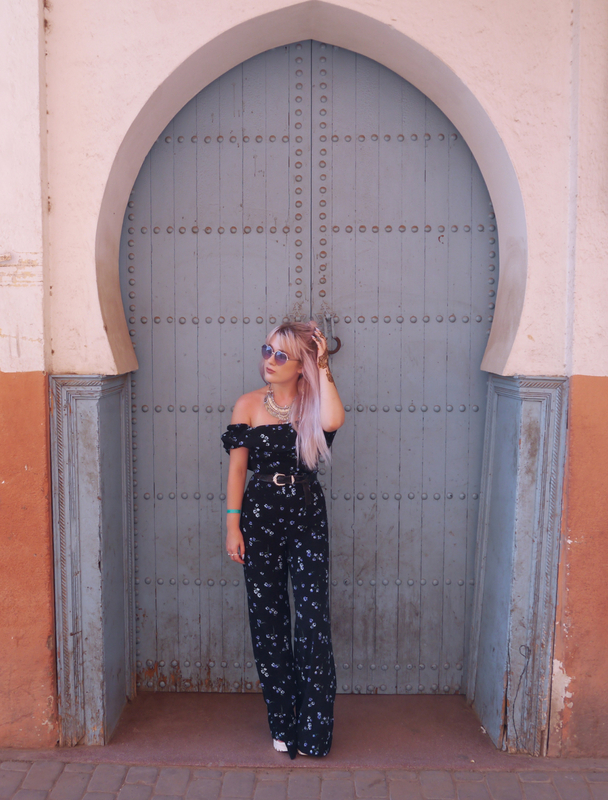 I absolutely loved this outfit, wearing this wide-legged jumpsuit (which I managed to bag for half price in the ASOS sale!) made me feel so lady-like and well-dressed. I bought it specifically for the holiday because I wanted to make sure I had something to wear in the city that didn't disrespect local culture or get me harassed too much, but there were plenty of tourists in shorts and vests so at times I felt a bit too dressed up. 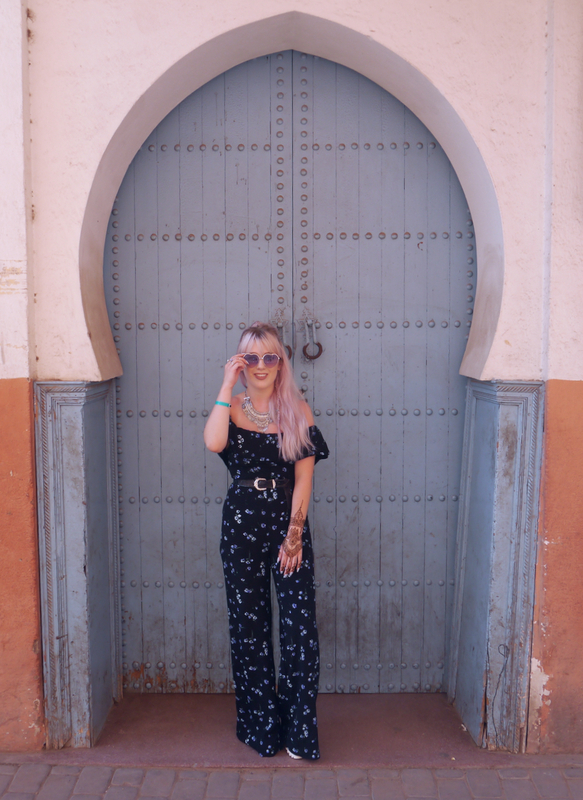 I do love this jumpsuit though, it fits so well with the 70s trend that I could easily wear it with a chunky cardi and boots for the winter. I also wanted to do an outfit post where I showed off the henna I got at the Henna Café in the city. The café was one of the places at the top of my list for visiting, it's a local initiative that serve food and drinks but also provide a henna menu full of different designs. The henna is all organic and is applied in the traditional way by local women, the café's profits are then reinvested into the community. I was so happy with how my design turned out and I'm so sad that it's now faded! Come back Sunday for a post jam-packed with holiday photos and travel advice! 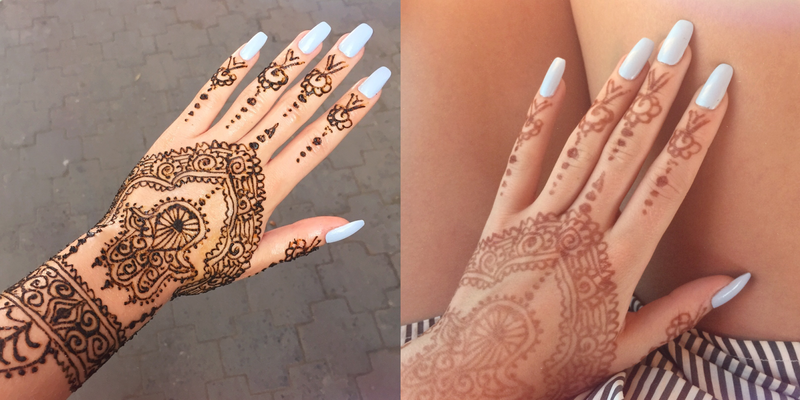 Beautiful henna, sounds like an amazing trip!